For the last couple of years, I have had a ton of fun working with a friend of mine in miniature. We first started off with a series of parodies of the Alaskan Bush People. We then got invited to participate in a film festival and were asked to make a film of something that took place in 1991. We made a version of Nirvana's Smells like teen spirit. Shot for shot we recreated the video in doll version. With all the fun and success we had with Nirvana, we have a list of new videos we want to do. 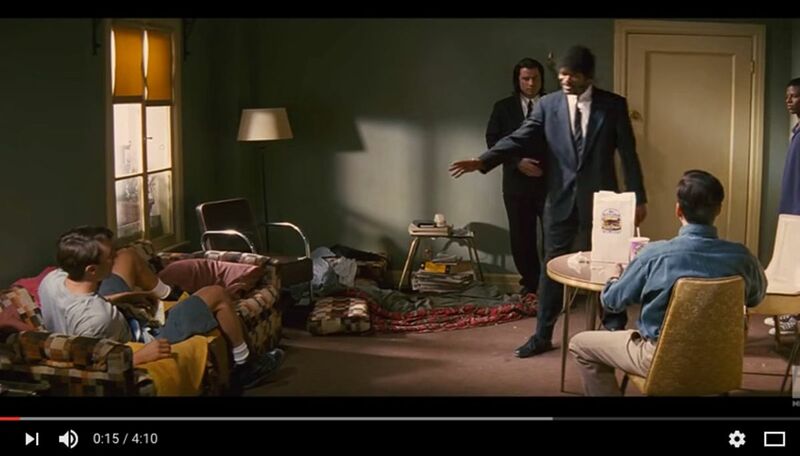 I'm not actually sure how we decided our what our next video would be but have determined that Pulp fiction is the next in the queue. We have a few more parts of the set and some more props to build, but we are getting close. Here is a quick test shot with my phone to see how it compares. It's going to be awesome. 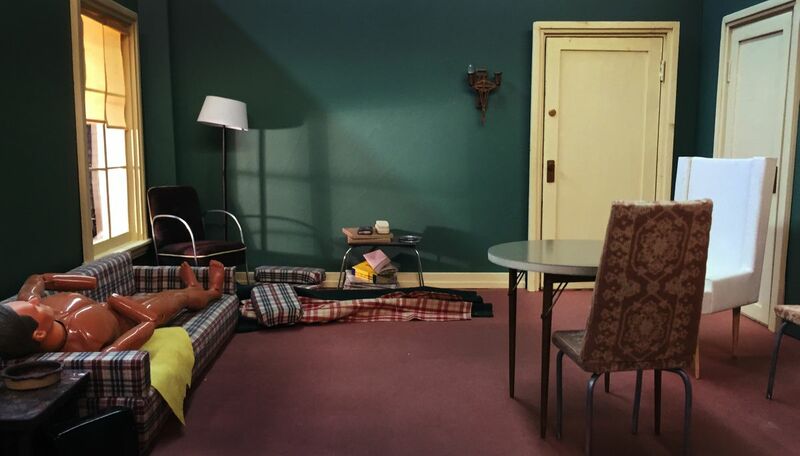 Here is the first comparison of our set to the original pulp fiction set. There is still a lot to do, but I think it's going to be great.